Given my post on Sunday, it probably isn't a surprise to see that most of my loot this week is romance related, although there was a surprise at the library when I went last night and found that the Jean Auel was there. I have borrowed it before, and I am not 100% sure that I will get to it this time, but we will see! What Happens in London by Julia Quinn - This author kickstarted my current glom on romance novels. It's only fitting that I am taking this opportunity to read some of her books that I haven't gotten to yet. I have actually already read this one! 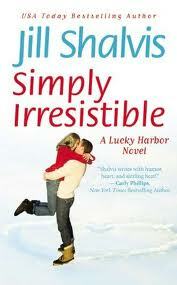 Simply Irresistible by Jill Shalvis - Read this one already. This is an author who has been recommended to me a number of times. I will definitely be reading more by her. Practice Makes Perfect by Julie James - Another one I have already read. Again, this is another author that has been recommended another time. I liked this one, but not loved it. Will read more from the author though. I also borrowed the movie Dear Frankie which stars Gerard Butler. I have heard lots of good things about this movie, but it was when Susanna Kearsley posted about this song from the movie that I decided I had to watch it sooner rather than later. I've always loved the Ronan Keating version of this song that is in the movie Notting Hill as well. Want to share your library loot? Add your link to Mr Linky below! ahhh.. i have too many books at present.. and not enough time to get through them!!! horrible! all these awesome books..!!! mmm. i haven't read romance in AGES!! I've just started reading Quinn and am loving her! Unfortunately, my library only has a couple of her books (or, rather, they only have a couple of them catalogued - who knows how many uncatalogued paperbacks are circulating but untraceable) so I'm doing my best to buy up used copies. My daughter is reading the Auel books this summer and is right in the middle of the third book. Great choices this week! Thanks Zibilee. 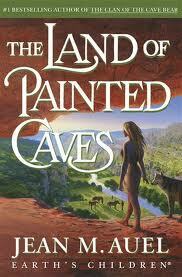 I read those books about 20 years ago and remember being enthralled by them. Claire, I am so glad my library catalogues all the books. Seems odd to not be able to tell what is on the shelves! Mel, my card is full at the moment. I really need to read a lot of books and quickly. Kiirstin, it wasn't my favourite Quinn, but it was still a lot of fun. Enjoy your week of romance! My Loot covers two trips...didn't get a post up for Thursday.